The Foundling Museum has announced the appointment of the 2014 Foundling Fellows, joining the Fellowship in the 10th anniversary year of the Foundling Museum in London and also coinciding with the 250th anniversary of the death of William Hogarth, whose donation of paintings to the Hospital laid the foundations of the collection of the Museum. November 1, 2013 » Permalink: The Slow University? Touch is delighted to be invited back to play live in Lincoln Cathedral by Frequency, after the hugely successful 13th edition of Spire, which took place in the same space, in October 2011. You can purchase tickets here. On a clear day in Reykjavik, one can gaze northwest and see the shining Snaefellsjokull glacier, 60 miles away. Though the glacier is nowhere near in size to some of Iceland’s others, it is by far the most mysterious and popular. It rests near lands end on one of Iceland’s most beloved landscapes – the Snaefellsnes Peninsula – and its bright, mysterious beauty seems to embody the entire region. One of the reasons why Icelander’s love the Snaefellsnes Peninsula so much (aside from its enchanting landscape brimming with lava caves, waterfalls, and mineral hot springs) is that it is a veritable heartland of history. Some of the best and most important sagas took place here, and it is said that Christopher Columbus once spent a winter in Ingjaldsholl, where he heard stories of lands to the west. Anna von Hausswolff, a Swedish singer, pianist and songwriter, will be performing a new score for the organ, titled “Källan”. The Eternal Chord, an improvisational work from some of the artists present, will close the evening. From making childhood recordings of birdsong in his garden, to co-founding electronic pioneers Cabaret Voltaire, and his work as one of the UK’s pre-eminent sound recordists, Sheffield-born Chris Watson has had an enduring fascination with sound. In this ambitious new exhibition, Chris will transform the Millennium Gallery into an immersive ‘sound map’ of Sheffield, charting its boundaries on the edge of the Peak and travelling its waterways to the bustling heart of the city. By truly hearing the sounds of the city, perhaps for the first time, we hope that visitors will gain a new perspective on Sheffield in 2013. From an exceptional response of strong and diverse proposals for the inaugural Jerwood Open Forest, five projects have been selected for a six-month research and development period. Juan delGado, Adam James, Amanda Loomes, a project by Chris Watson, collaborating with producer Iain Pate, and artist duo Semiconductor (Ruth Jarman and Joe Gerhardt) will each receive a £2,000 research and development fee and be supported by Jerwood Visual Arts and Forestry Commission England to expand on the concept of their proposal and explore potential sites through this phase. The research process will culminate in a curated exhibition at Jerwood Visual Arts, London in January 2014. 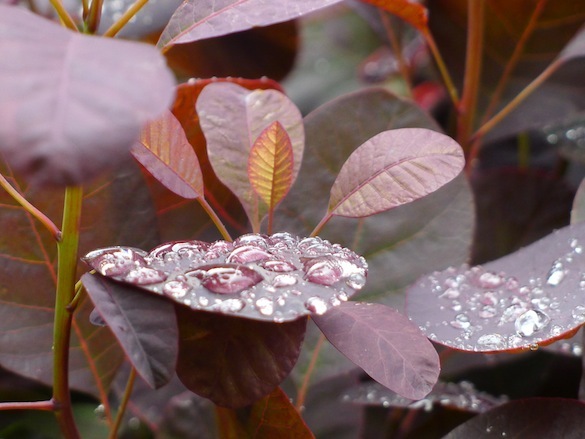 One project will then be selected by the panel of leading practitioners and project partners to receive a £30,000 commissioning budget to realise their proposal. Further information and updates of the research and development period will be available on this website soon. 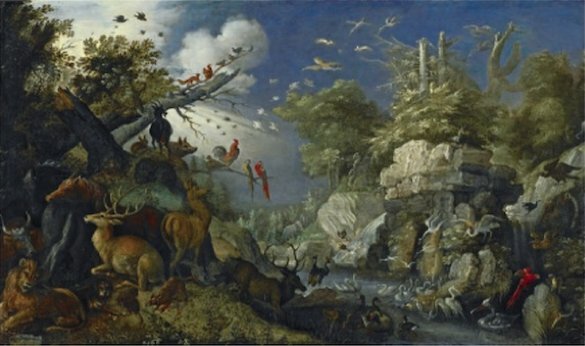 Throughout human history artists have been influenced by their surroundings and the sounds of the landscape they inhabit. When Eadfrith, the Bishop of Lindisfarne, was writing and illustrating the Lindisfarne Gospels on that island during the late 7th Century and early 8th Century he would have been immersed in the seasonal sounds around the island. 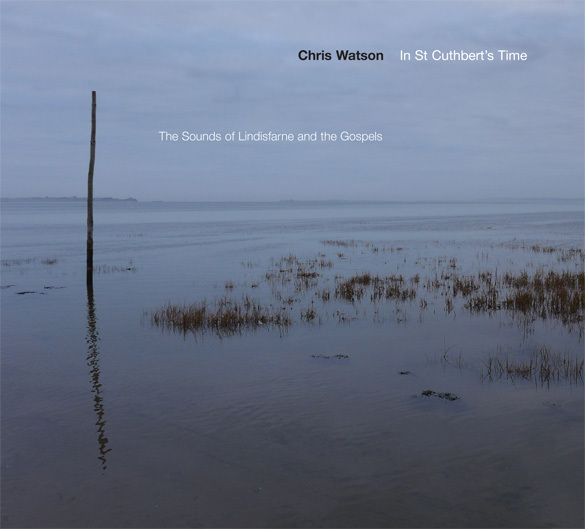 For ‘In St Cuthbert’s Time’, a collaboration with Durham University’s Institute of Advanced Study, and other Durham-based researchers, artist Chris Watson has created a sound installation that reflects the acoustic landscape of that island during the time that the Lindisfarne Gospels were being considered, written and illustrated. Durham Cathedral’s Holy Cross Chapel provides an inspiring location for quiet reflection and meditation on the sounds St Cuthbert and the other monks would have experienced for themselves. 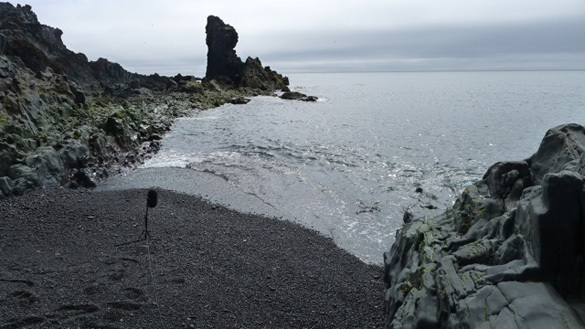 The installation will run continuously on a loop lasting around forty to fifty minutes and reflect the seasonal changes of a year out on the island. It will be played at a very discrete level as the intention is to create an atmosphere within the Chapel as if the Chapel was on the island and the natural sounds of that place were percolating inside through the two large unglazed windows. The replay level and spatial representation of the work is key to its success. Visitors will be able to engage in conversation without having to raise their voices, as the sounds will be audible simply at the level they would be experienced in reality. Those who choose to listen will be able to engage with the work in a way which encourages a creative thought process regarding the spirit and sense of place. The Installation will run from 06 July 2013 – to 30 September 2013, daily between 10am and 4pm. You can read about it in the Newcastle Journal here, and Living North here. There is also out now a new album released on Touch to coincide with this event. Galerie Díra is sound art and site specific gallery in the backyard of no. 28 of Školská street, Prague. Chris retraces the steps of Benjamin Britten and tunes into the Suffolk countryside which inspired the composer. In Port Magazine, the wildlife specialist shares anecdotes from his career, and his latest commission in Suffolk (see above). The third edition of our annual winter weekend exploration into the culture and meanings of place looks at the nature and resonance of home. It draws its inspiration from the life and travels of Benjamin Britten, and its title from an astute observation he made in 1951 about the importance of Suffolk to his life and creativity. Over the weekend (see below), in the company of award-winning writers, thinkers, artists, musicians and film-makers, Roots will explore what home means in an age of globalization, from considerations of domestic architecture to the psychology of unsettlement, and from the lure of the local to our place in the cosmos. As always, the approaches will be various – readings, screenings, music, performance, discussion, walks and installation – and we’re especially pleased to announce a new commission by internationally acclaimed sound artist Chris Watson, In Britten’s Footsteps, responding directly to the Aldeburgh landscape, and a presentation by conductor and writer Paul Kildea, the author of an important new Britten biography. PLACE is curated by Gareth Evans in association with Aldeburgh Music. Il présentera à Genève en première mondiale Blue Notes, une création unique inspirée de l’océan, qui en traduira le rythme et la musique avec des sons enregistrés pour la plupart en milieu subaquatique. Tout un art ! He will present in Geneva the world premiere of Blue Notes, a unique design inspired by the ocean, which results in the rhythm and music with sounds recorded mostly in an underwater environment. A two-day festival celebrating 30 years of Touch, with performances, installations and displays, and a full programme of workshops and masterclasses in design and music, recording, mastering and the digital realm. The full programme is now available to read below or to download. The 14th edition of send + receive will feature performances and works that explore distinct interpretations of natural sound by artists from across Canada and around the globe. ‘Going With The ~Flow’ began in February with the sounds of shifting ice fragments in England’s last wilderness high on the northern Pennines. Join renowed sound recordist Chris Watson on a slow walk at sunset and drift down stream with the Tyne as the river ebbs past Newburn and Blaydon. Out of hours the daytime industry and commerce crowding the banks fall silent whilst the river snakes through it’s heart and forms a transient wildlife refuge twice a day as the low tide reveals the mud. Curlew, redshank and lapwing have moved down river to roost and feed out on the exposed mudflats and they are joined by busy urban gulls and international travelling birds on their way south from arctic latitudes. Participants are advised to wear dark clothing and bring binoculars if possible. There will be some recording opportunity for those with recorders and Chris Watson will bring along a number of microphone set ups to plug into. Please note that this walk has a very limited capacity. To book your place go HERE. This major new commission by the world’s greatest sound recordist creates an acoustic journey down the River Tyne from its sources to the sea. Going With The Flow is a unique soundscape, a seasonal time compression consisting entirely of location recordings gathered and composed between February and August 2012. Taking inspiration from the actions and rhythms of the river, the recordings will track the course of the flow and the voices from the backsides between which is passes, following the sonic metamorphosis of upland rainfall to tidal seawater. Extracts of Chris’s recordings will be presented at flowmill.org/media (TBC) and the final commission will be presented at The Sage Gateshead alongside visuals by Andy Greenwood. To book tickets visit thesagegateshead.org or call 0191 443 4661. For our final session we are so privileged to have coming to Salon North the magic that is super sound recordist Chris Watson. If you have ever heard the sound of an animal putting tooth to flesh in any of the David Attenborough’s series it is our Chris who was there, literally placing his boom deep inside the leopard’s mouth. David Attenborough will work with no-one else, and Chris has built up, over many decades travelling a world class sound archive. If it’s sounds of ice fields groaning as they split apart deep under the ice caps or electrical storm in the Serengeti desert you want, Chris is your go to sound guy. For Salon North Chris will be taking us on select sound safari, playing the sounds of the dawn during our British summertime. 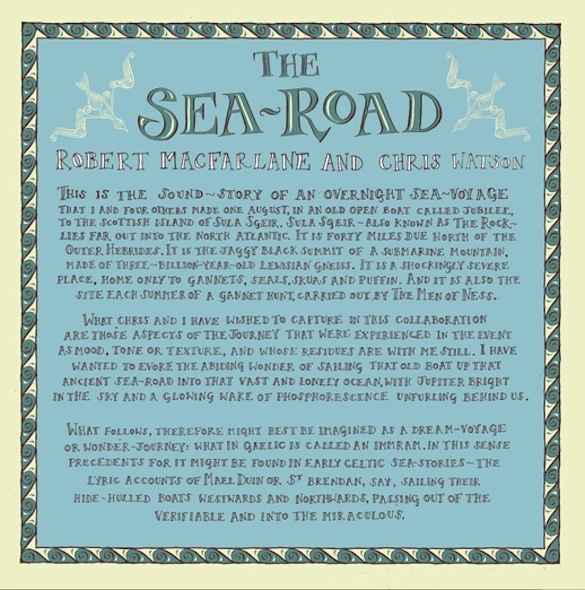 From the tip of the Orkneys to the far west of the British Isles, Chris will be playing the sounds of our nation’s dawn in Salon’s very own nature disco. Opening on the 28th with a presentation of the work of Chris Watson by Mike Harding and a live performance by Jana Winderen. 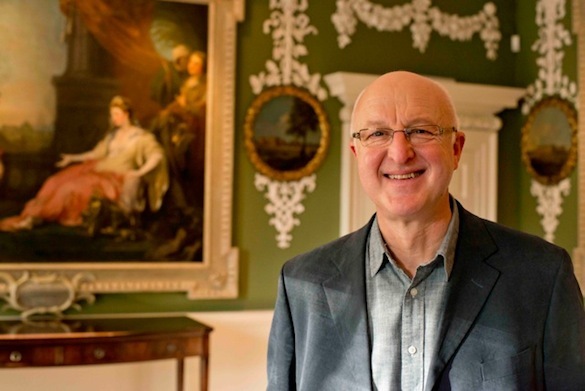 Unfortunately Chris Watson cannot be present for family reasons, so his work will be presented by Mike Harding from Touch. Touch.30, in conjunction with the Oates100 Campaign and nti Leeds present an audio-visual journey to the South Pole with Chris Watson. 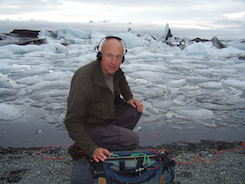 As part of the team for the David Attenborough BBC series “Frozen Planet”, Chris travelled to Antarctica to record the ambient sounds, the wildlife, the water – even the groaning of a glacier as it moves. 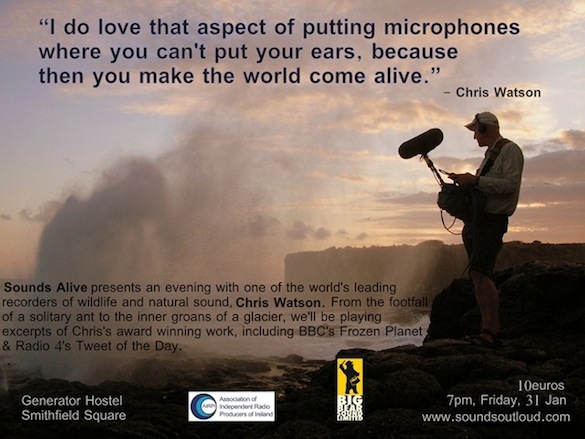 Chris talks about his experiences there and brings the remotest continent to life with his stunning recordings. Chris is is one of the world’s leading recorders of wildlife and natural phenomena. His recordings are used in TV, Radio and Film including contributions to the award-winning re-release of “A Great White Silence”, originally filmed during Captain Scott’s ill-fated expedition to the South Pole. 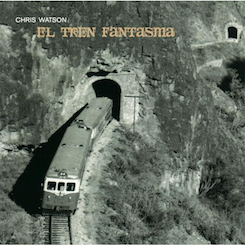 For Touch he edits his field recordings into a filmic narrative released on CD & Vinyl, such as his latest release “El Tren Fantasma”; viewed by one reviewer as “a benchmark in field recording not to mention a map of the soul, an insight into the human condition and a key to dreams”. Chris has characterised his work as “putting microphones where you can’t put your ears” – come along to experience the incredible surround-sound results for yourself. This is part of a series of events intended to commemorate Captain Lawrence “Titus” Oates, who sacrificed himself 100 years ago in an effort to save the lives of his fellow explorers during Captain Scott’s attempt to be the first to the South Pole. Generously hosted by nti Leeds at Old Broadcasting House with equipment loaned from Leeds Metropolitan University, this is a unique event to commemorate a true Leeds hero. A retrospective exhibition by this award-winning artist, featuring new commissions and other works being shown in the UK for the first time. Daily 10am – 6pm. 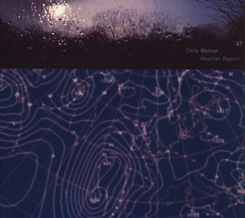 Founder member of influential Sheffield based music group Cabaret Voltaire, Chris Watson is one of the world’s leading recorders of wildlife and natural phenomena. Here Watson presents the UK premiere of new album El Tren Fantasma and a live performance of his sound score for Quarantine, a video work by Gina Czarnecki.